Why does the particle size of the ultra-fine mill become thicker? Since its inception, the ultra-fine grinding machine has been sought after by customers. Its application has promoted the development of many industries, such as chemical industry, building materials, metallurgy, and mining. More than 100 kinds of materials can be processed. Especially when processing materials such as limestone, calcite, bentonite, dolomite, barite, etc., ultra-fine grinding is more than enough. The advantages of the ultra-fine mill are also many. The internal wear parts of the main machine, such as the grinding ring grinding roller, are made of special materials and are used longer than ordinary wearing parts. The big bright spot is that it can be processed. A finer powder is produced, and the fineness can be arbitrarily adjusted between 200-2500 mesh. Therefore, the sales volume of ultra-fine grinding has always been in the forefront, and many customers come to our company for consultation and purchase. Recently, some customers have asked why the particle size of the ultra-fine mill is getting thicker. Then let’s explain the reasons for it. The ultra-fine mill is in operation, the blades are also running, but it will fall off after a long time, which will lead to coarser grain size. The solution is to stop the blade to replace the blade; At the time, there will be some debris, and the debris will block the lower lock valve of the coarse powder tube. The coarse powder after the powder selection enters the fine powder area from the return air blade, which also causes the finished product to become thicker. Therefore, we should always check the lock air. valve. 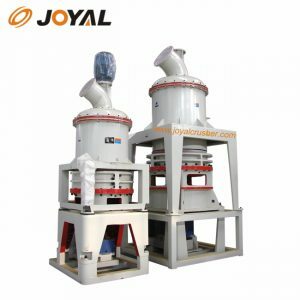 Previous: What to pay attention to when using a stone millNext: Small mill manufacturers abound, which manufacturer is good?